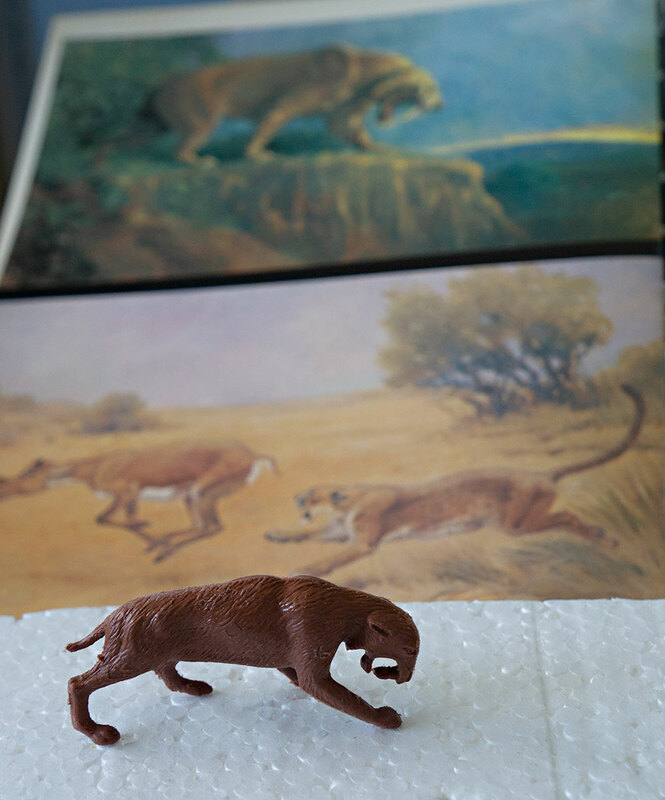 Robin Rowland's blog about model projects. 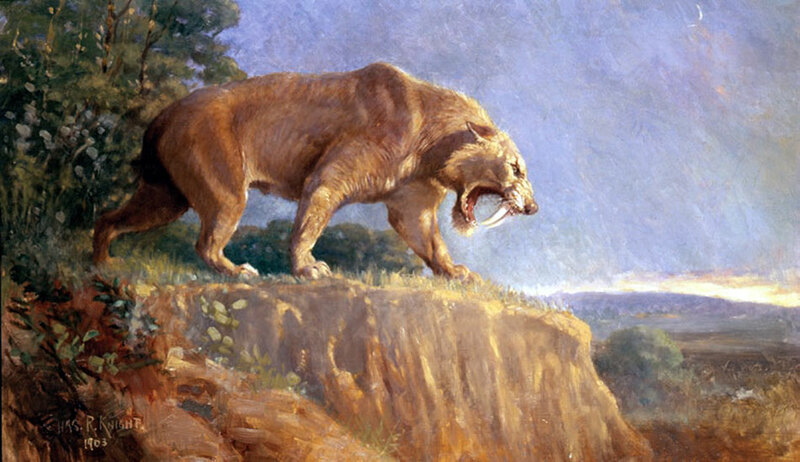 A sabre tooth tiger (Smilodon), watches for prey in a recreation of the Charles R. Knight painting. How the idea started and how I recreated the scene. 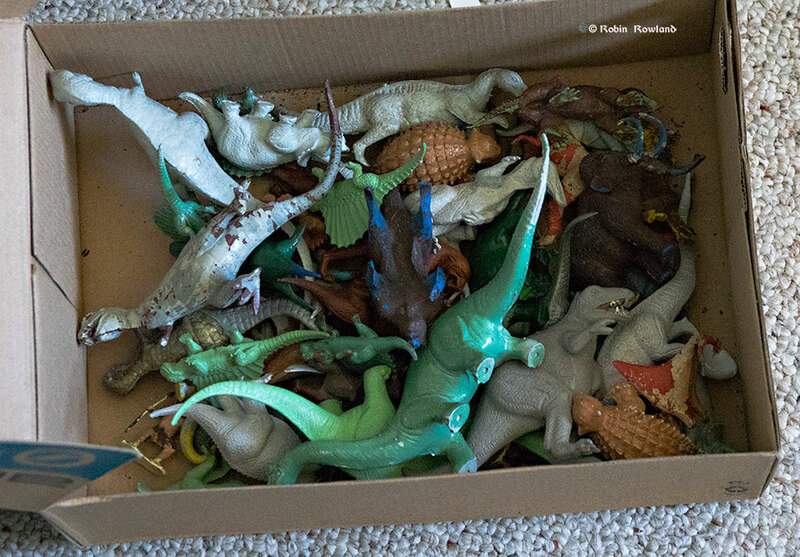 A few months ago as I finally unpacked a box of old palaeontology books that I collected from the 1970s to the 1990s, I unexpectedly found a box of my dinosaur toys from when I was a kid in the 1950s. Most them were made by the toy company Louis Marx and Company, while others were cheaper knockoffs. Whether from Louis Marx or knockoffs, the toys are all based on paintings by either the Charles R. Knight or by Rudolph Zallinger. Now there’s a problem with these toys. 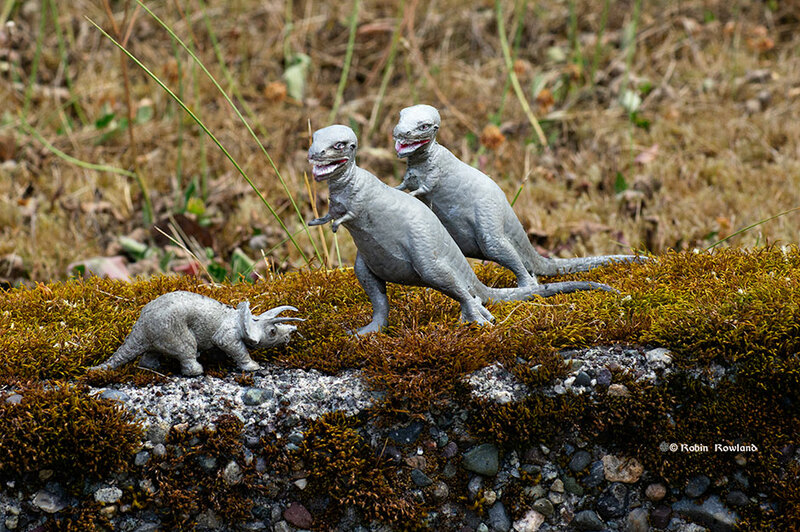 They are no longer scientifically valid, our knowledge of dinosaurs and other prehistoric creatures has grown immensely over the past fifty-odd years. The body plan of the dinosaurs is completely different from the slow lumbering reptiles that was the conventional wisdom in the 1950s. The toys are obsolete–or are they? So I decided to use the toys to recreate those original paintings that I loved as a kid. I started with Charles R. Knight because in that box of dinosaur books was one of Charles R. Knight paintings that I bought in Chicago years ago. 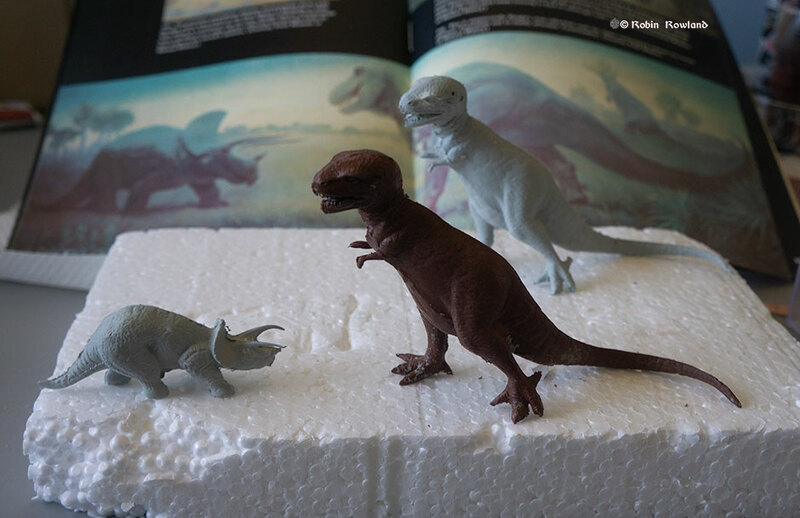 Planning the T-Rex scene using the toys before I repainted them. There’s more to come. I am going to post a repainted Woolly Mammoth as soon as the snow flies. 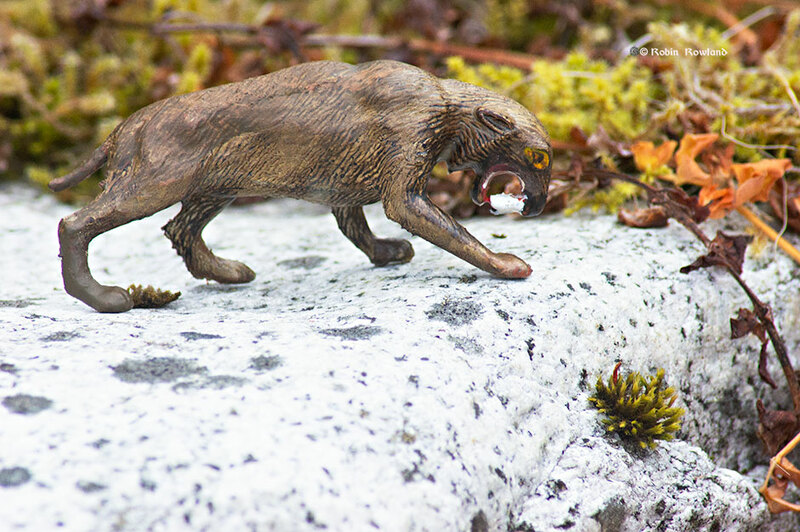 I have the sea creature that didn’t fit and had to be renamed and some other photos from a toy photography class I taught in the summer.